No more climbing ladders or risking injury to clean your gutters – ever again! 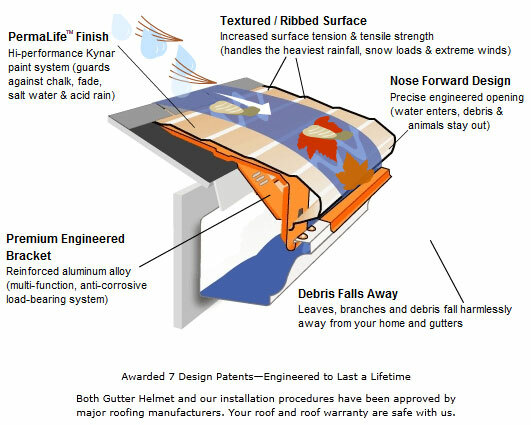 Leaves, twigs, pine needles and other debris is all kept out using Gutter Helmet’s patented design. While it keeps out all the leaves, twigs and debris from entering your gutters, it is busy capturing every rain drop that falls down your roof.